The Port of Venice boasts a number of advantages, starting from its geographical position, that make it the best choice for freight transit, both imported and exported. The Port of Venice is located at the intersection of the main European High-Speed/High-Capacity corridors that provide quick and easy access to a vast territory ranging from North-eastern Italy to Central and Eastern Europe. 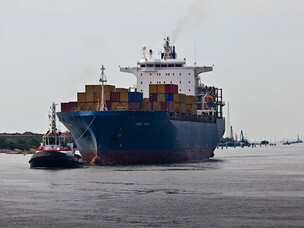 Venice is one of the leading port in the Adriatic for containers handled. The new lines connecting Venice with the near and far East will further consolidate its leadership. 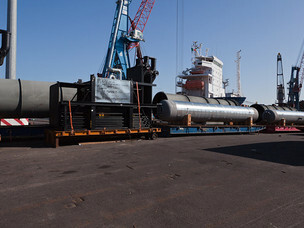 The Port of Venice is one of the leading European ports for project cargo: in this specific area its scope includes the whole Central Europe. Another major advantage of the Port of Venice is the availability of space that can be developed to serve the port and its logistics. Venice is also the one and only major port in Italy to provide access to an inland waterway system. In Venice, cargo can be transferred from ship to barge, and continue its journey up man made channels and the Po, the only Italian navigable river, to reach Cremona and Mantua in the Po Valley.